Cathy Lomax's interests are focused on film imagery, notably in her on going Film Diary series. In Rome she identified with Karen Stone, a character in The Roman Spring of Mrs Stone, a 1961 film based on a Tennessee Williams novella, who finds herself ‘drifting’ through the city. 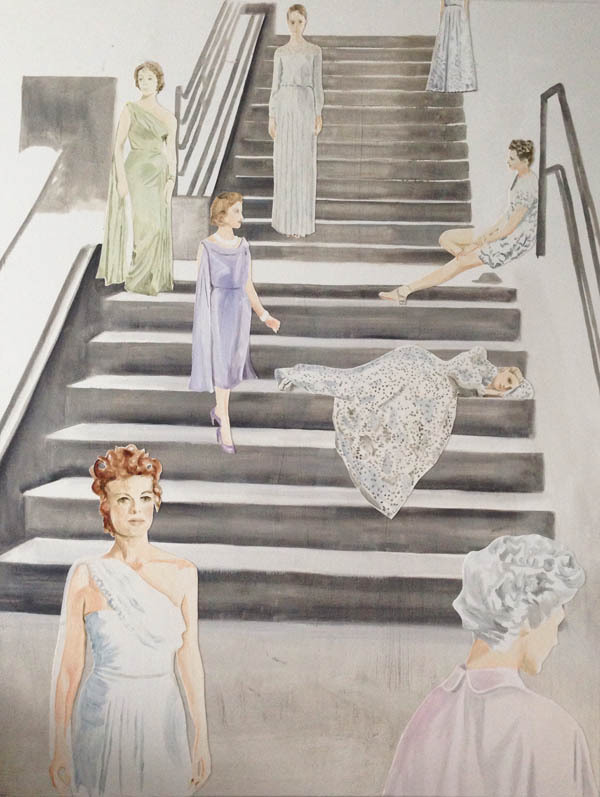 Fontana, a work started in Rome and finished in East London, features a series of women, cut out and re-arranged on a staircase as if it were a Cinecitta film set. The goddess-like women, who are costumed from film and fashion (including the Rome based designer Valentino), descend the stairs, frozen like the omnipresent statues in the Eternal City.